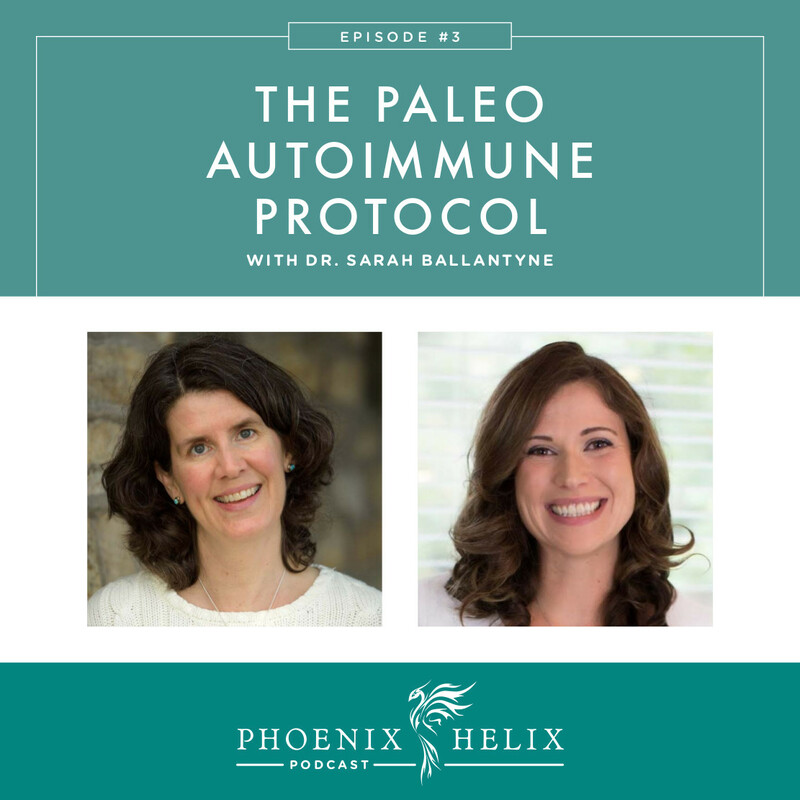 In the first episode of the Phoenix Helix podcast, we shared real-life examples of what reversing autoimmune disease looks like. The second episode delved into all things paleo – what we eat and why – and busted some common nutrition myths. 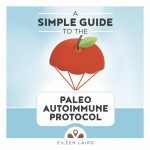 Today, we discuss the paleo autoimmune protocol. I'm joined be THE expert, Dr. Sarah Ballantyne. 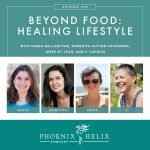 She shares her personal healing story, gives an overview of the AIP, and takes a big picture look at the scientific basis for how and why it works. The AIP can be hard, so it's really helpful to understand the reasoning behind it. Get ready to geek out on some science! She is a research scientist and author of The Paleo Approach and The Paleo Approach Cookbook. 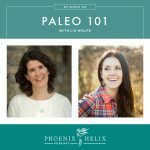 Co-host of The Paleo View Podcast, and blogger behind The Paleo Mom. Her health journey: While a low-carb diet led to a dramatic 100 pound weight loss, her health declined anyway until she was experiencing a vast array of problems: irritable bowel syndrome (IBS), acid reflux, migraines, depression, anxiety, asthma, allergies, eczema, psoriasis and an autoimmune skin condition called lichen planus. She struggled with her health for over a decade before trying the paleo diet. Within 2 weeks, she was medication-free, and over time, she was able to heal all of her health problems. Now, as long as she follows her personalized AIP template, emphasizing lifestyle choices as much as diet, she is symptom-free. (1) The list of foods you remove from your diet, that are potential inflammation triggers. (2) The list of nutrient-dense foods you add to your diet, that encourage autoimmune healing. (3) The lifestyle measures that have a strong impact on inflammation and the autoimmune response. Click the word “nightshades” above, for the main list. Hidden in almost every packaged food. If a label says “spices” and doesn't name them, most of the time it contains nightshades. Paprika is the most commonly used nightshade ingredient, because it adds an appealing pink color to things like deli meats, sauces and rotisserie chickens. You can take it in stages: Regular paleo first, and then AIP only if necessary. 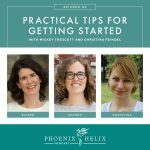 Our next podcast episode is going to be all about practical implementation: advice to help you succeed, from people who have been following the protocol themselves. What is happening in the autoimmune body, and how does that differ from a healthy body? The connection between poor gut health and autoimmune disease. 80% of our immune system is housed in the tissues surrounding the gut. Leaky gut and autoimmune disease go hand in hand, and our gut bacteria balance has a direct impact on every aspect of our health. Why foods that are okay on paleo are removed from the AIP. People with autoimmune disease have more sensitive systems, and any food that has the potential to be inflammatory to the immune system or irritating to the gut, are removed from the AIP. The connection between nutrient deficiency and autoimmune disease. This is why nutrient dense healing foods are an important part of the AIP. They help regulate the immune system, heal damaged tissues (including leaky gut) and restore a healthy bacteria balance. The connection between hormone regulation and autoimmune disease, and the impact of lifestyle on hormone balance. 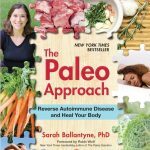 Sarah read 6,000+ studies during the writing of The Paleo Approach, and 1,200 studies are cited in the book. 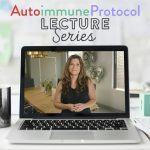 The AIP addresses dysregulation of the immune system, which is the root cause of all autoimmune diseases, and why the AIP works for a wide variety of diagnoses. You can keep up with all of Sarah's work through her blog, The Paleo Mom. There you will find information on her books, podcast, consulting practice, and more.